Buying or selling Neopoints for real life money is NEVER legitimate. Any account discovered to be buying or selling items / Neopoints / Neopets for real life cash (outside of the NC Mall) will have all of their accounts frozen. These sites are often malicious, and could possibly endanger your account security. Also, the things that these sites sell are often stolen from other players like yourself. Please protect your account, Neopets, and credit card information by never clicking on such a site, even just to "check it out." Yes, just upload the image elsewhere and then include links in your article where you want them. If your article is accepted, we'll upload the image to our own servers and place the images in the appropriate spots of your article. Uh, no. That would fall under misspelling or using images and other ways of getting around the filters. You're still communicating the same completely inappropriate thing, just using different symbols. Keep an eye out for me come Spring! "Shell accounts" are typically accounts whose lack of trophies, game scores, Neopets, and other evidence would indicate that the account has not been used until recently. The difference between these accounts and side accounts is that shell accounts are generally stolen or being accessed by someone other than the original owner, and / or typically used for cheating or other nefarious purposes. We also recommend not interacting with any accounts you find suspicious. Nope, not without sending in a parental consent form. Otherwise it violates COPPA regulations, which we must abide by. It's a federal law, not a Neopets-specific rule. The Petpet Puddle doesn't work that way. 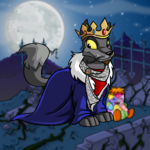 It's a place where you go to paint your Petpets, not a place that lists every colour combination for Petpets. You're definitely welcome to submit to more than one language, but please don't just translate the same entry. Uhh... hang gliders mounted with lightweight cannons? o.o Or maybe they could "commandeer" the Cyodrake's Gaze? Hmm... well, we also got the following request: "I DEMAND this Editorial have 100% more BACON in it!" So... here ya go!